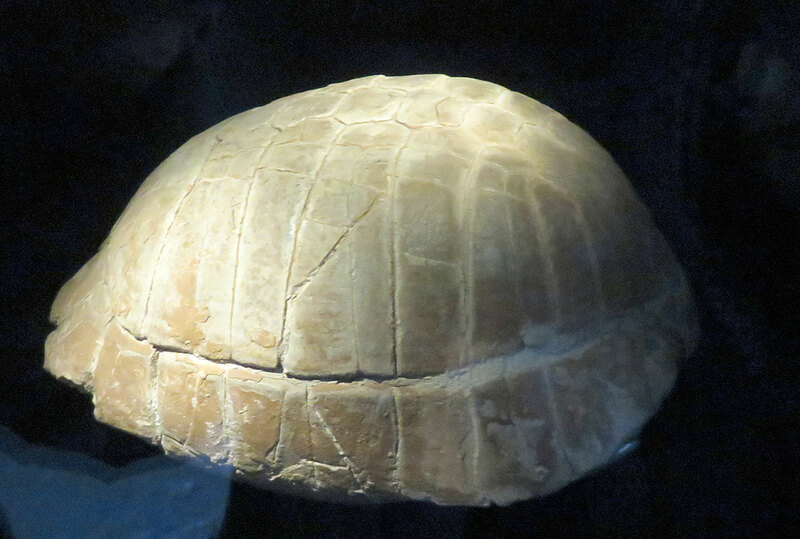 This image is of a tortoise carapace fossil Stylemys nebrascensis on display at the British Natural History Museum in London. This creature existed in the Oligocene epoch of the Paleogene Period. It was found in the western United States.